The Jaegermeister Chair built in Bermuda at The Swizzle Inn by Chris Warburton. The song was written by Ray Pasnen and is available here for free! 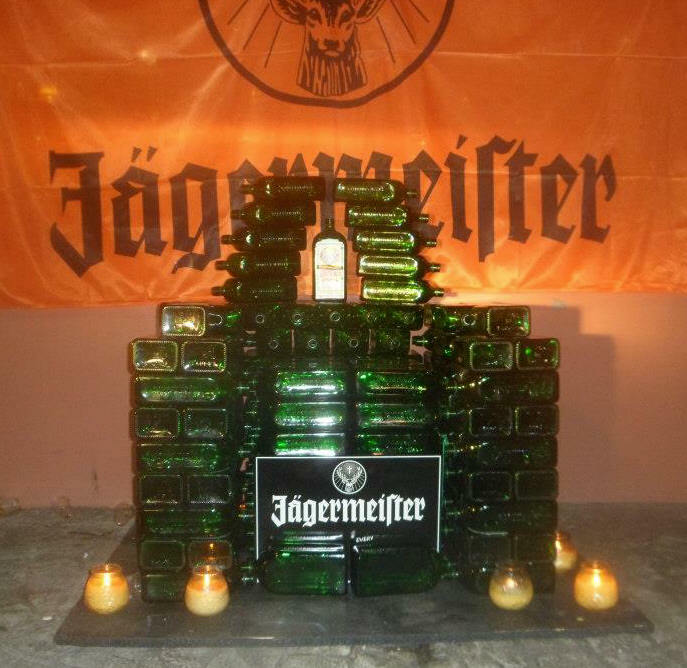 A large chair / throne constructed from empty Jaermeister bottles. Jaeger!